High Court Judge Fiona Maye (Emma Thompson) specializes in juvenile cases, especially as they pertain to the medical profession. The latest case she is presiding over is one of her most challenging, 17-year-old teenager Adam Henry (Fionn Whitehead) in dire need of a blood transfusion so he can continue cancer treatment, doctors and nurses working overtime to convince him and his parents Kevin (Ben Chaplin) and Naomi (Eileen Walsh) to allow the procedure before it is too late. But they are all refusing for religious reasons, and in the process put the boy’s life in immediate jeopardy. As the age of individual consent in Britain is 18, the question before Judge Maye is whether or not the hospital can forcefully execute the blood transfusion over the objections of the patient and his parents, the law not nearly as straightforward on the matter as the lawyers on both sides of the case are attempting to argue. Back at home things aren’t any more relaxed. 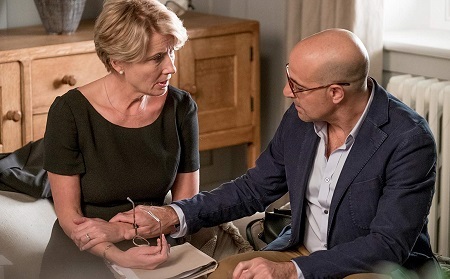 Judge Maye’s academic husband Jack (Stanley Tucci) wants permission to have an affair, the casual way he asks the question instantaneously transforming his usually poised and polished wife into an emotional wreck. Beside herself as to what to do in regards to both the case and her marriage, Judge Maye is trying to keep her composure and not let anyone notice just how shaky the psychological ground she’s presiding over now is. All of which makes her budding friendship with Henry all the more unusual, their conversations forcing her to look at her life with Jack in ways she’s never considered up until now. 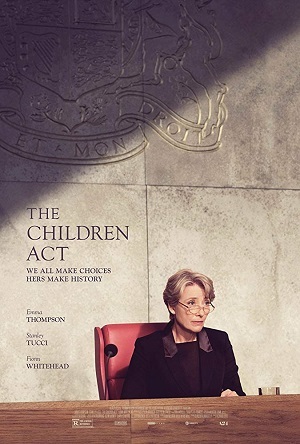 If a person is a fan of Emma Thompson, then director Richard Eyre’s (Notes on a Scandal, Iris) adaptation of author Ian McEwan’s The Children Act is an essential piece of cinematic melodrama that should be seen at the earliest possible convenience. 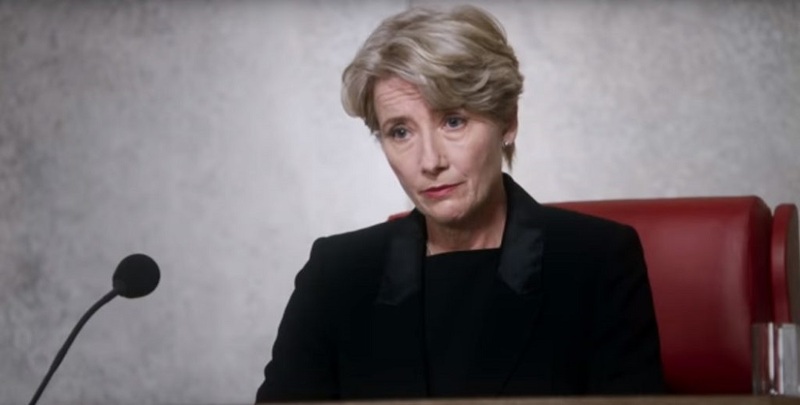 The two-time Academy Award winner (as both an actress and as a screenwriter for 1995’s Sense and Sensibility) is superb as Judge Maye, delivering a performance of staggering emotional nuance that grows in resonance and power as events progress. Thompson has incredible chemistry with Tucci and also shares a couple of staggeringly intimate moments with young Whitehead that brought tears to my eyes. She is the reason to watch this movie, that’s all there is to say, and as such the actress is the sole reason Eyre’s latest ends up working as well as it ultimately does. Which sadly isn’t all that well. Even with Thompson, McEwan’s reworking of his novel for the screen feels more like a rather forgettable British-themed episode of “Law & Order” than it does anything else, Eyre’s staid and inflexibly solemn direction not helping matters. The dramatic contrivances sitting at the heart of the story is more akin to Peyton Place than it is to Inherit the Wind or To Kill a Mockingbird, the ponderous emotional machinations the filmmakers continually utilize to move the plot forward tiresome. I just found it difficult to maintain interest in what was going on, and even with being unfamiliar with McEwan’s book there wasn’t a single thing that happened that ever caught me by surprise. Not that I found The Children Act to be a total waste of time. Tucci’s role may be underdeveloped but he still manages to make the most of it. His scenes with Thompson crackle and sing, each actor showcasing a passionate urgency that hints at the deeper, more complicated themes I’m sure were explored far more successfully in McEwan’s novel than they sadly are here. But I still loved watching them anytime they were together, the two actors able to covey so much with such effortless grace, oftentimes without much in the way of dialogue, I don’t believe I could have taken my eyes off either actor even had I wanted to try. Then there is an initial scene between Judge Maye and young Henry inside the latter’s hospital room. The scene is a brittle, potent reminder of just how great a director Eyre can be when he sets his mind to it, the filmmaker staging an elongated moment of character exploration that’s marvelous. Thompson and Whitehead manage an instant connection, the two actors engaging in an intellectual dance that casually box steps its way into quiet magnificence with eloquent precision. There is a level of humane intimacy that blew me away, and it’s an absolute shame the remainder of the film could never rise to that same level throughout the remainder of its 105-minute running time. Other elements I responded favorably to included Stephen Warbeck’s (Shakespeare in Love) subtle score and Andrew Dunn’s (Book Club) comfortably commanding cinematography. 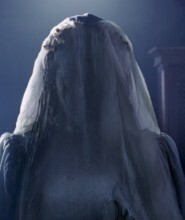 I also felt the final scene does end things on just the right note, and although my reservations are numerous any film that can stick the landing as well as this one does deserves at the very least a modicum of my respect. All the same, if not for Thompson’s bravura performance I doubt there’d be a heck of a lot going on here I’d want to spend my time talking about, The Children Act a well-intentioned melodrama whose various bits and pieces are interesting, and far more memorable, than the finished product itself frustratingly proves to be.